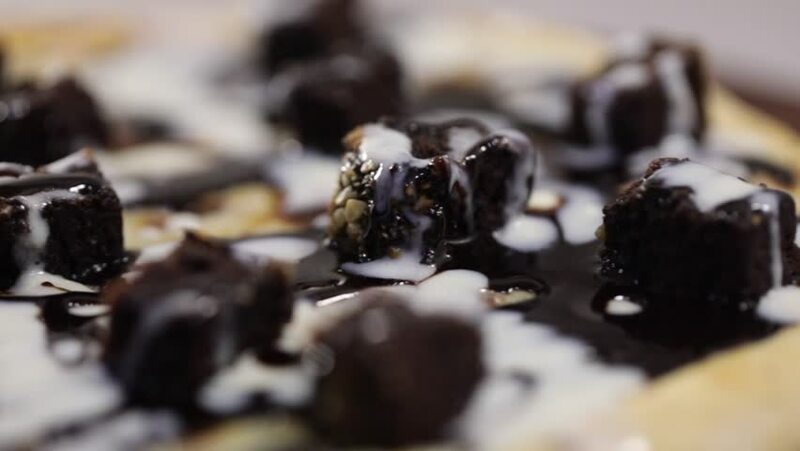 Chocolate brownie pizza.Brownie pieces with cheese and chocolate syrup. 4k00:30This macro shot of a Geode is perfect for any project. 4k00:17Shadows moving with small rocks on glass surface. hd00:14View of the glade in the winter forest with walking people.